Microsoft has issued a comment about OnLive's change from Windows 7 to Windows Server 2008 R2 in the OnLive Desktop service to comply with Microsoft licensing. They said, "we’re pleased to have been told that the OnLive Desktop application is now accessing our software by hosting it on Windows Server, an important step in delivering any Microsoft-licensed desktop-like service to the public," Microsoft said. 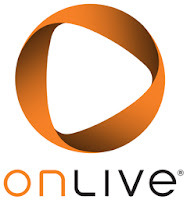 "Based on this information, we will work with OnLive to take a closer look at its service and ensure it is operating according to its license like thousands of other partners and utilizing our standing pricing and licensing terms." From the wording of this comment one could get the impression that Microsoft still doesn't trust in OnLive's intentions. OnLive has a strict no comment policy on this one, but they got a no comment policy on pretty much anything, even some things that would make them look good in the public's eye. Looks like they take joy in observing the rampant speculation in the tech media and among tech geeks. It looks like no matter what OnLive does it's surrounded by drama and speculation, whether intentional or not, this might be helpful advertising at no cost for OnLive and carry the word about their services and products to people around the globe.